Children and teenagers who attend Autism Berkshire’s Bracknell CAYP youth group will soon be able to enjoy lots of new games, thanks to the fundraising efforts of David Blackburne. David, 28, from Bracknell, is an adult living with autism who likes to keep busy and volunteers at the group. He is also a keen runner and decided that he would seek sponsorship for taking part in the 2016 Bracknell Half Marathon to raise money for the group. Despite the warm weather on the day of the race, Sunday, May 8, which was the hottest day of the year at that point, David completed the course in 1 hour, 53 minutes, within four minutes of his best-ever time for the 13.1-mile course. 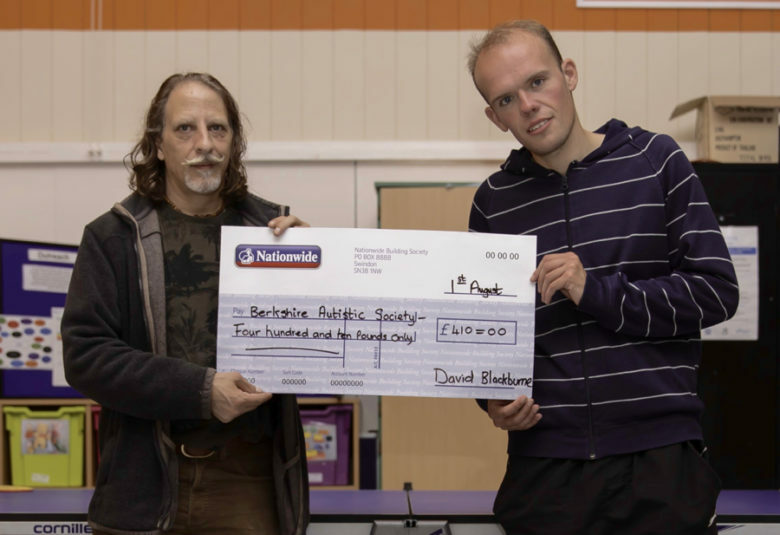 David is pictured, right, presenting a cheque to Autism Berkshire’s autism development worker Garrick Rahal, who is the CAYP group’s co-ordinator. 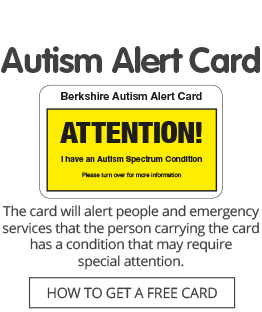 The Bracknell CAYP (Children and Young People) Group is for nine to 18-year-olds who are on the autism spectrum and live in the Borough of Bracknell Forest. It meets every Friday during school terms between 4.30pm and 6.30pm at the Willows and Maples Children’s Centre, in Priestwood Court Road, Bracknell. The group is funded by Bracknell Forest Council.